 Creative Choice entries may be submitted for one or more of the categories listed below. When submitting in the online portal, entrants will be asked if their retail store is part of a 1-15 store company, or a company operating more than 15 stores. 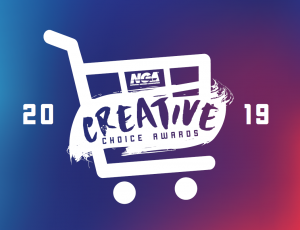 A winner will be selected in each category from both retail store size brackets. This category is for any marketing or merchandising campaigns which feature Kellogg’s or Unilever products. In addition to receiving recognition at the 2019 NGA Show, these recipients will also receive a special gift at the breakfast session! Are you trending? Enter your best and brightest electronic marketing campaigns that proved successful in connecting with customers through increased sales. Examples include Facebook, Twitter, emails, text messages, YouTube, or smart phone app usage. Has your company been a TV or radio star? Submit your original TV or radio ad (cannot be more than 60 seconds in length) and tell us how and why this exposure yielded positive results for your business. Read all about it! Enter your best-performing print ad of the year and tell the judging committee why it pays to print. Submitted advertisement entries can be either black and white or color, any size or format. Item and price newspaper advertisements and pre-printed inserts are accepted. Tell us how two or more media elements worked in harmony during one campaign. Entry submissions should explain the executed store-level experience while including photographs, advertisement examples, and other visuals that communicate the multiple marketing methods and subsequent success of an integrated marketing plan. Put your best foot forward as you brag about your new or remodeled store in this category. Any form of media is accepted, as long as marketing submissions support a store opening or remodel announcement. Submissions should highlight the ways in which one manufacturer’s products were merchandising by the retailer including any resulting sales increases. Entries are not limited to a particular department, but only one manufacturer may be featured in the display or event. Calling all events! Any and all events are welcome including both in-store and parking lot/off-site event entries. Submissions should be based on total store program with evidence on how each department contributed to the event’s merchandising strategy and sales of the emphasized product(s). Note: for events related to a public service or charity, please also see the next category. Submissions in this category include a focus on products or a product line that incorporates a community or charitable cause event. Entries should explain the merchandising efforts of products in relation to the community or charitable cause, including visuals and results. What’s going on in your aisles? This category takes a closer look at excellence in merchandising in center store, general merchandise, or health and beauty care. Submissions should feature concepts and/or display visuals that created excitement in any of these departments. Center store entries should specifically explain how merchandising efforts drove sales (includes all edible and non-edible consumer packaged goods). Last but not least! Tell us about innovative merchandising happening in your perimeter and frozen departments. These submissions should highlight sales of a product or product line in produce, meat, hot foods/food service, dairy, deli/bakery, floral, and frozen. Be sure to provide visuals and any significant sales outcomes.